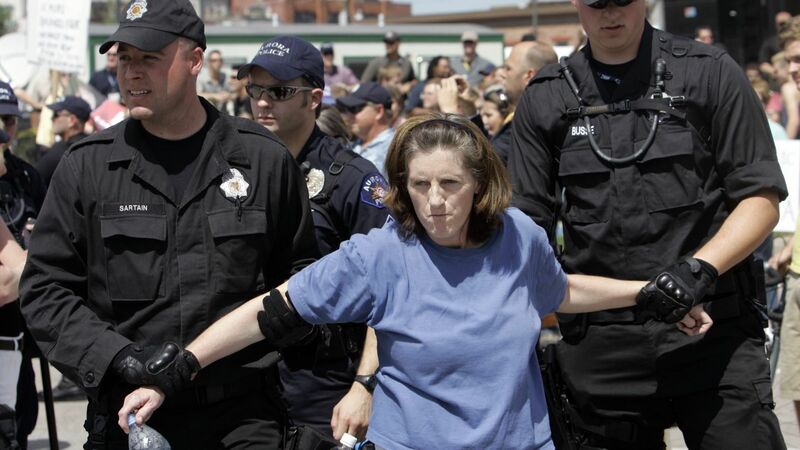 Abortion clinics are facing more violent threats than they have in 20 years, NBC News reports, as anti-abortion legislators are appointed to cabinet positions in Washington and some states continue to introduce restrictive abortion bills. The number of abortion providers who reported being targeted for “severe violence or threats of violence” nearly doubled from 19.7% in the first half of 2014 to 34.2% in the first half of 2016, according to a study published by the Feminist Majority Foundation. The organization conducted the survey via mail and online in July last year, with 319 providers responding to questions about anti-abortion activity and violence targeting their facilities. “The most commonly reported types of severe violence and threats of violence in 2016 included blocking clinic access, bomb threats, facility invasions, stalking, and death threats,” the report reads. This incident and countless anecdotes of increasing levels of violence against providers across the country in the fall of 2015 led us to fear that anti-abortion extremists had been emboldened by the release of these videos. The results of the 2016 National Clinic Violence Survey, the first quantitative measure of nationwide violence recorded since the release of the CMP videos, corroborate these fears. In the early 1990s, anti-abortion extremists concluded that murdering providers was the only way to stop abortion. The first provider was murdered in 1993. Including the recent attack in Colorado, there have been 11 murders and 26 attempted murders due to anti-abortion violence. Several of the doctors were attacked in their own homes. In 2009, NAF member Dr. George Tiller was shot and killed in his church in Wichita, Kansas. In 2015, a police officer and two people at a clinic were killed when a gunman entered a clinic in Colorado Springs, Colorado. Most recently, in November 2015, a shooter killed three people outside a Planned Parenthood clinic in Colorado Springs. The shooter, Robert L. Dear Jr., told police officers, “No more baby parts” as an explanation for his actions, an apparent reference to the doctored CMP videos. Providers can expect the antagonistic rhetoric to continue to intensify from Washington. Last week, the Senate confirmed Tom Price, a vocally anti-choice candidate, as Secretary of Health and Human Services. That came days after the confirmation of another openly anti-abortion legislator: Attorney General Jeff Sessions, whose Justice Department could be responsible for overseeing investigations into violence against providers. That woman the cops are hauling away is not pregnant! She must be a so-called “pro-lifer,” only interested in other people being preggers.